The Common Lizard (Lacerta vivipara/Zootoca vivipara) used to be, as its name suggests, a commonly found reptile. In my childhood there were loads of the little creatures living on the railways banks behind where my family lived. If I took a walk I could also guarantee to see them on roadside hedge-banks in many places around the outskirts of Cardiff. 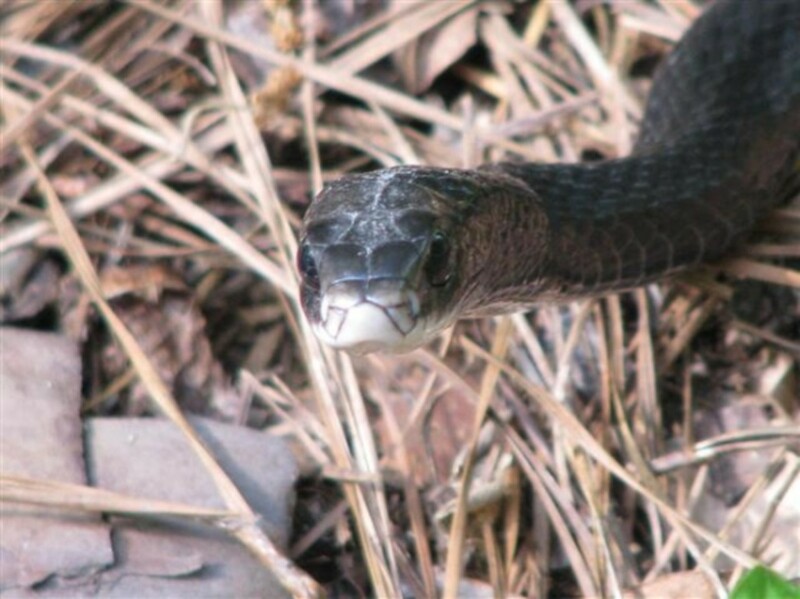 But those days are long gone and today I know of only one location, which is outside the city, where you can still be likely to see this charming little reptile. The Common Lizard is no longer aptly named, at least not in the Cardiff area of South Wales. The Common Lizard is also known as the Viviparous Lizard because it gives birth to live young and does not lay eggs like many other species of lizard do. There are populations of egg-laying (oviparous) Common Lizards in the southern part of its range but not in the UK. Common Lizards are usually less than 5 inches in length with over twice the length of the body being made by the tail. This lizard will. However, drop its tail if in danger or caught by a predator, so many adults have shorter tails than they could have. The section of tail that the lizard has dropped moves about for a while and hopefully distracts whatever had attempted to catch or eat its one-time owner. Lizards can grow new tails but they are rarely as long or as graceful but tend to be thicker and for a while they are stump-tailed. Male Common Lizards are usually smaller and slimmer than the females but are more brightly coloured and may have an attractive greenish hue to their bodies. The undersides of the males are orange-red or yellow-orange and dotted with small black spots. Both sexes are very variable and there are olive-brown, grayish and almost black lizards found. Female Common Lizards usually have a ground colour of dull brown with various stripes and dots of other colours. Their bellies are a pale creamy-white or pale yellow. Common Lizards mate in April and May and the females give birth in July to any number between 3 and 10 babies. The tiny lizards are just over 1 inch in length and a blackish colour. They are perfectly formed and soon start catching small insects to feed on and basking in the sunshine like their parents. Common Lizards are found in many other parts of Europe and have the most northerly range of any reptile being found up into the Arctic Circle. It is absent from most of the Mediterranean countries apart from the north of Spain and Italy. This lizard is also distributed into many parts of Asia in the northerly regions. Common Lizards like to bask in the sun and will do so on anything they can find that is a heat-trap. You will see them on rocks, on logs, and discarded large cans and metal sheeting. At the first sign of danger they are gone. Common Lizards run very quickly. They eat all sorts of small insects and often take caterpillars and grasshoppers. They particularly enjoy eating spiders. 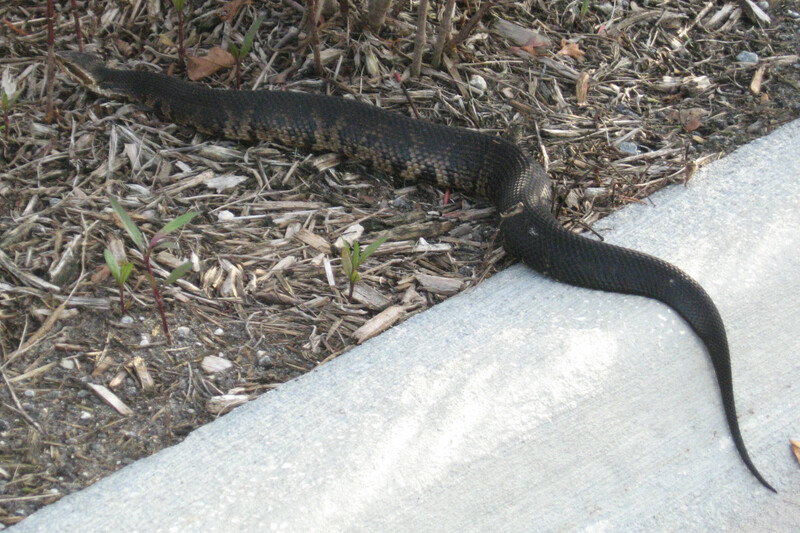 If their prey is too big for a Common Lizard, the reptile will shake it and chew it into submission. The Common Lizard is usually found on heaths, moors, hillsides and on hedge-banks, riverbanks and railway banks. It needs plenty of short grass and vegetation with areas where it can bask in the sun. Even areas of exposed soil or large stones will do for this purpose. It will also live in old stone walls in farming districts. Sand dunes are another good habitat for the Common Lizard. 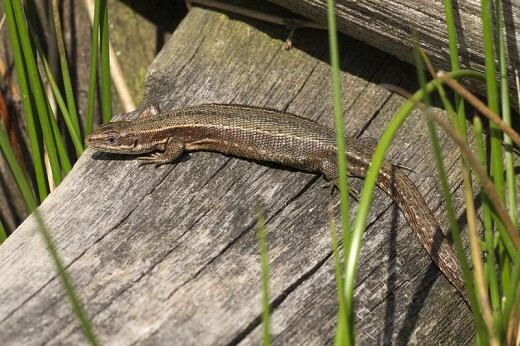 The lizards also sometimes live in clearings in forests and along pathways through woodlands. The main reason it seems to be disappearing is lack of suitable habitats. 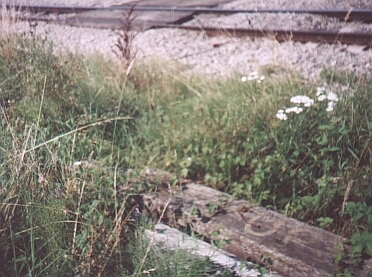 When I was a boy railway banks had a wide range of wildflowers growing in the grass and often too had discarded rubbish such as sheets of corrugated iron that the lizards would bask on or hide underneath. One such railway bank I know that used to have a very healthy population of Common Lizards now has none but it is very different. It is now mostly overgrown with brambles and nettles with very few areas of short grass or exposed ground. Hedge-banks where the lizards used to live used to support a far wider range of wild flowers and the insects attracted to them. These days, mechanical hedge-cutters cut the vegetation and Roundup herbicide kills all in its path. But it cannot just be habitat loss because the Common Lizard numbers have been fast declining from many locations away from the towns and cities, and from locations where there is no obvious cause. I remember when these lizards were common on the cliffs in Tenby but that is no longer the case. Climate Change has probably had a bad effect on them. Although they are adapted to withstand cold and hibernate through the winter, a wet summer is disastrous for them. They need the sunshine to be active. You will never see a Common Lizard on a rainy day while it is raining but if there are sunny periods then they will come out to bask and feed. The Adder or Viper (Vipera berus) is a predator of the Common Lizard, and not surprisingly the snake has also suffered a decline in population numbers and distribution in the UK. I have visited areas where years ago you could usually spot adders on a sunny day but can no longer do so. There are still locations in Britain where Common Lizards can be found, many of them are nature reserves, but the distribution of this little reptile is nothing like it used to be. The Common Lizard is a small animal I associated with British summers. It was a big part of the joys of my childhood and teenage years to see these little reptiles out on my country walks but sadly those days have gone. Will the Common Lizard ever become common again? I would like to hope so! That's right, they used to be on the railway banks, up on the roadside banks along Llantrisant Road and several other places around Cardiff but I doubt if you can find any now. The only location I know is for a small area at the side of the Drope Road on the way to St George's. I remember our school days when we found them all about in Cardiff on road banks etc.